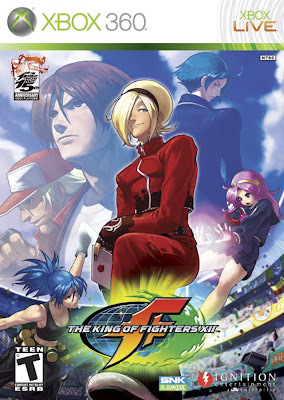 Synopsis: King of Fighters XII is the third fighting game to be released in the last month from SNK Playmore for the franchise’s 15th anniversary; the other recently released titles were Garou: Mark of the Wolves and The King of Fighters ’98 Ultimate Match for the Xbox Live Arcade. 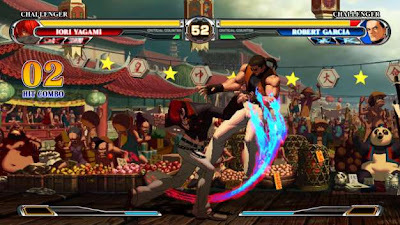 This entry features 3 on 3 fighting and does not include a storyline for the cast of fighters. The graphics have been completely redone and the roster includes 22 hand drawn characters to master. If you have 4 gigs of space left on your hard drive, I would suggest installing the game to your hard drive to improve load times. Praise: The 3 on 3 fighting is a great new feature to this title and help King of Fighters XII stand out over the other recent games like it. 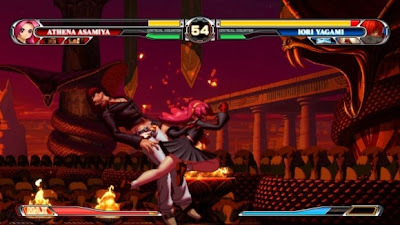 It is still your typical King of Fighters entry but there are some very welcome combat additions to help throw you on the leaderboards, such as critical counter attacks, air guarding, deadlock counters, and guard attacks. You may also record and upload your replays for those times you just need to rub it in the defeated’s face. High definition background has made the visuals a lot brighter and definitely easier on the eyes. Gripes: The lack of storylines for the characters is definitely missed, especially for anyone new to the series. Since most of the experience will come from fighting online, it is rather disappointing that the game needed to be patched upon release to fix the lag throughout fights. I have experienced one update so far but there still seem to be a good amount of lag being seen, playing can become extremely frustrating to try and complete a match. Lastly, some fighters from the previous entries have been removed from the already small roster, while two new fighters were given; King, Geese Howard, Billy Kane and Yuri Sakazaki are nowhere to be found. While the background does look great, the hand drawn fighters are not so smooth looking, as they appear pixilated in comparison to the animated backdrops. 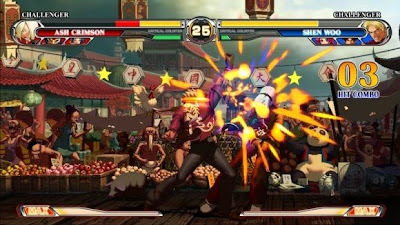 Overall, King of Fighters XII is a strong fighting game in the recent flood of fighters released in the last few months. However, the saturation with new fighters does make it hard to justify spending 60 dollars on this classic franchise. While this is not the only 3 on 3 fighter out for the Xbox 360 and Playstation 3, it is probably the best looking for now. Lastly, if you want this title to strictly play online, I would suggested holding off until the game has been completely patched as you will encounter lag in a number of matches. 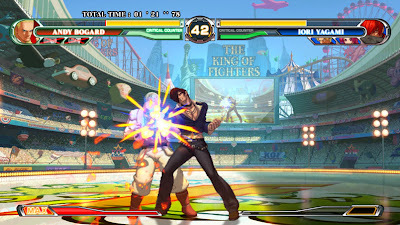 King of Fighters XII is available now for the Xbox 360 and Playstation 3.